When it comes to knowing what you will write about or how you will brand your new blog/business there are many factors to consider. 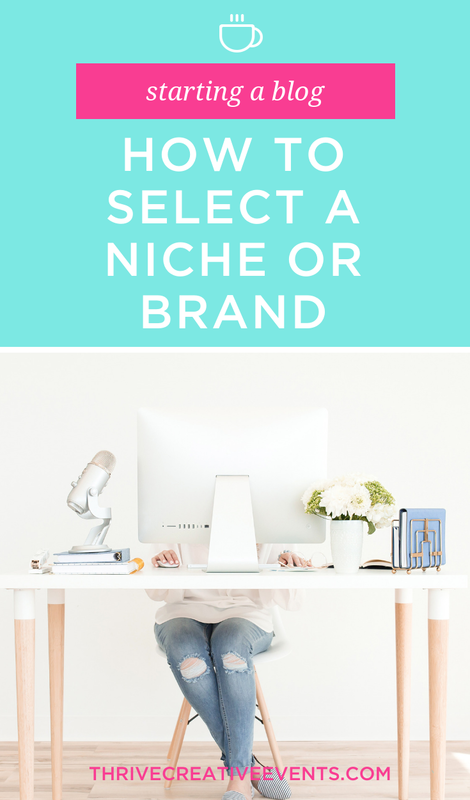 Below are some of the questions that you should answer when selecting your niche or brand. Who is your audience or ideal client? Are you seeking to fill a current gap? For example, with my personal brand Momma of Dos, I tend to identify with working moms of all backgrounds and pretty much anywhere in the world. Very simple. To add to that I also speak on post-partum depression, seeking therapy and work-life balance, my audience is further identified by these specific details. All my content is centered around anything relayed to the before mentioned. My brand is very specific after a few years of tweaking it. I started writing about this because I couldn’t find the right Latina Mom community to help me feel normal after motherhood, so I created it for myself and other moms joined me. 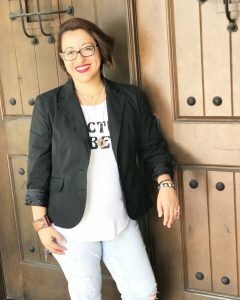 When it comes to my business brand, Houston Latina Bloggers, the name is very specific itself, but we seek to identify with all culturally diverse women who live in Houston and in Texas. Our brand is easily identifiable though by our logo which is very colorful and has a folkloric woman on it and the Houston skyline. That pretty much sums up our brand, Local Women and culture. This was also filling a local gap, there was no other local Latina Blogger group, so we developed it and it has worked and grown. What is it that truly allows you to relate to your audience? This will depend on what your blog objective is or what you want to sell. For me as a mom and professional I tend to highlight; of course, my children or who I am as a mom, my networking events, and any type of professional event that involves self-growth or professional development. A lot of my content is centered around empowering other professional moms to do what they do. Your brand can and will evolve the more you learn who your audience is and how you can be relatable to them. What tells your story; is it colors, a specific graphic, or a special attribute that helps identify you? How can you properly tell your story in a way that your audience can feel connected? The first two questions must be properly answered before you can begin to create your content or tie specific items to your brand. For my personal brand, I use a lot of neutral feminine colors, purple or lilac is one of my favorites so you will see it a lot on my website and in my graphics. I also like clean, so I use a lot of white on black or vise-versa. I love words obviously I am a writer, so I use quotes and micro-blog on Instagram to help keep my audience updated on where I am in life. I write a lot about personal happenings and have entire series on my blog to help create a sense of community for other professional moms where they too can share. For my business brand, HLB (Houston Latina Bloggers) we use a lot of colors and bright and strong/bold graphics. Our focus has been to feature women locally who are creating amazing content to help them gain exposure. But, over the last year have expanded to that and we share stories of women from all over the world and we have recently started featuring men as a way to help grow and expand our reach. If it’s relatable to being a Latina we share it and it has worked so far. Again, this latter part has taken some time to evolve and deep consideration as to whether it was relevant or not. Answering these questions will help guide you but know that there is no right or wrong answer, this is YOUR brand, it can be whatever you want it to be. No matter how different you might think you are from everyone else, know that the internet has a place and audience for EVERYTHING. The real question to answer will be what sets you apart from everyone else? Don’t be scared to be different, trust your gut and fill those obvious gaps that you know are out there.